Home Dining Day Two: We’re Headed to The Thirsty Koala! Day Two: We’re Headed to The Thirsty Koala! There’s THREE games going on today! Mexico vs Cameroon at noon, Spain vs the Netherlands at 3, and Chile vs Australia at 6. Now, we’re MOST excited about Spain vs. The Netherlands, because COME ON, it’s a rematch of the last final World Cup game! Four years ago the two teams came head to head, battling out for the crown, and they’re back at it tomorrow. We’re rooting for Spain, we think they can take the win again this time. 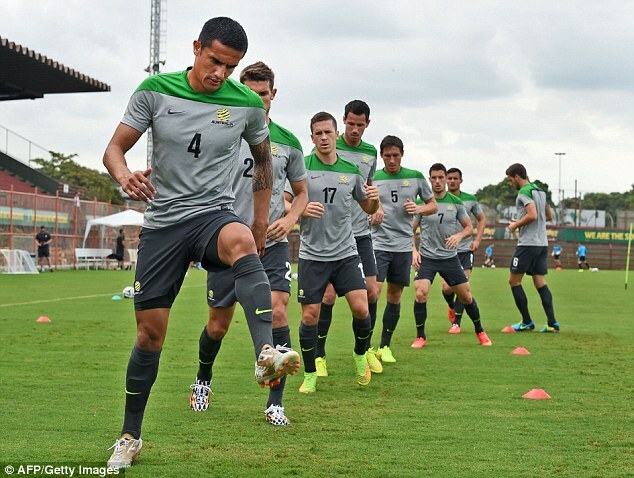 What we’re really looking forward to is the Chile vs. Australia match because 1. It’s after work and everyone in Astoria is ready to go watch the game, and 2. Astoria has one of the BEST Australia spots in New York City – The Thirsty Koala. The team at the Koala are in FULL spirits, and they’ll be packed with Aussies and supporters. They have great bar seating to catch the game, and their open windows let in some great night air. If you walk by, there’s no doubt you’ll be hearing fans screaming and cheering for the home team. Now, here’s what you should be enjoying. First, KANGAROO. Kangaroo burgers, to be exact. Because if you’re watching Australia play, you need to go ALL out Australian. Have it with the lot – classic Australia style. This burger is literally overflowing with toppings: grilled pineapple, bacon, egg, beet slaw and caramelized onions. It’s going to be messy. You’ll love it. There’ll be drink specials going on as well, because there’s no doubt you need to have the perfect beer in hand to cheer with. Another ridiculously tasty choice is the NSW – marinated grilled chicken, kalamata tapenade, grilled zucchini, caprese salsa and balsamic glaze. Here’s what we’re thinking for the game: It’s going to be close. This is Australia’s third straight World Cup – but they’ve got lot of new, less experienced players. They might be the underdog, but we think if they push hard enough they’ll come out on top – and if they do, you know The Thirsty Koala is going to go WILD. And if they do win, you can tell your friends you rooted for the Australians surrounded by Australians. If you stop by tonight, make SURE you get your free limited edition t-shirt! There available while supplies last, so get there early! And when you get one, snap a pic and hashtag #AstoriaWorldCup! Check out all the action, and vote for your favorites at http://givemeastoria.com/dev_wp/fifa-world-cup-brazil-2014/! Previous articleOne of Forbes’ Most Powerful Women is Coming to Astoria Tonight!